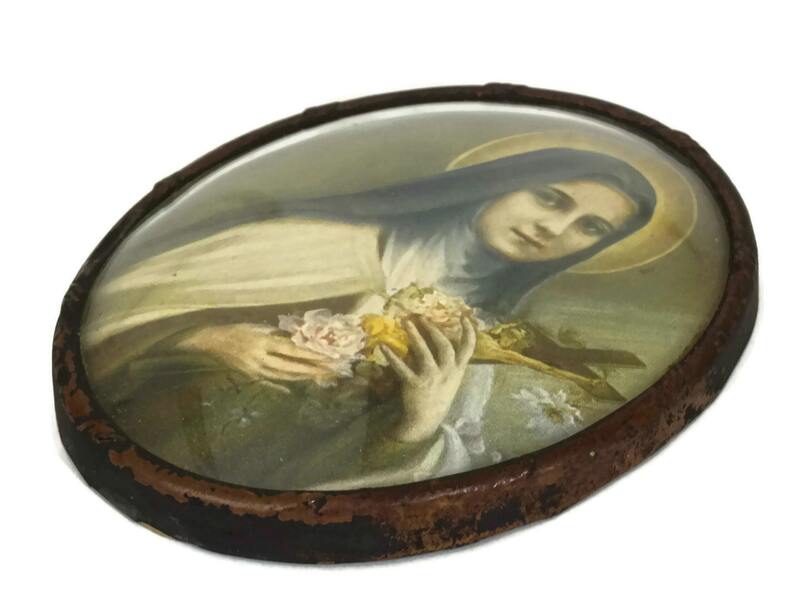 A charming antique souvenir portrait of the French Saint Therese of Lisieux dating from the early 1900's. 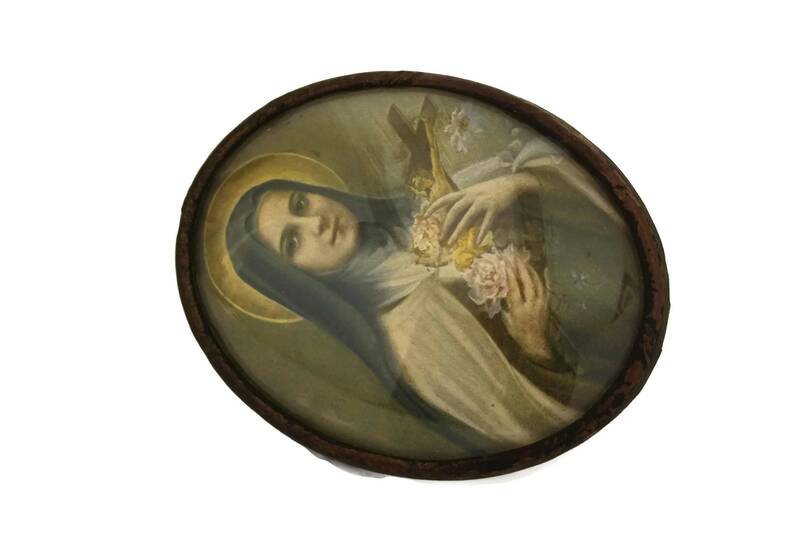 The art print has been mounted in an oval metal frame with a domed glass cover. 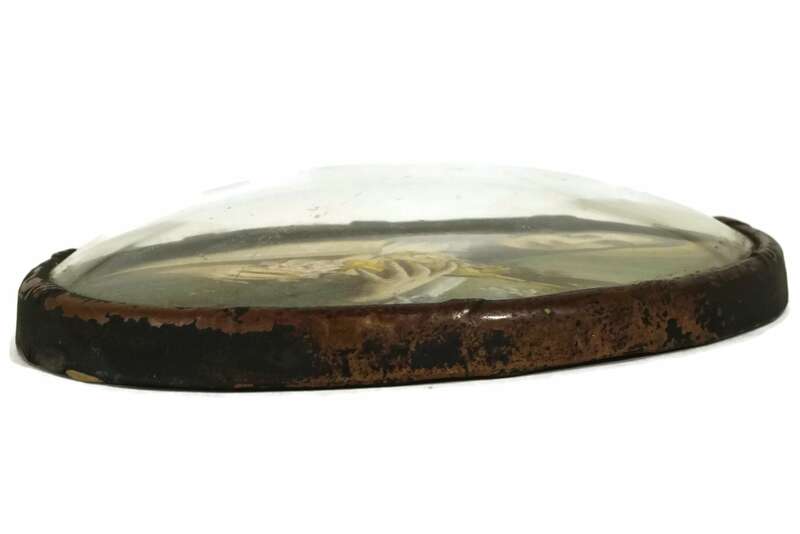 The reverse side has a small hanging ring. 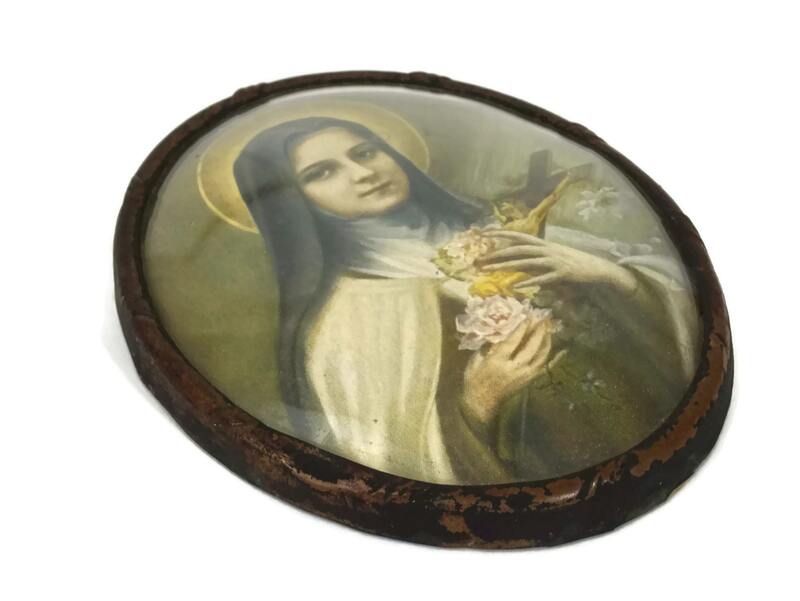 The religious wall hanging will make a lovely Catholic gift. 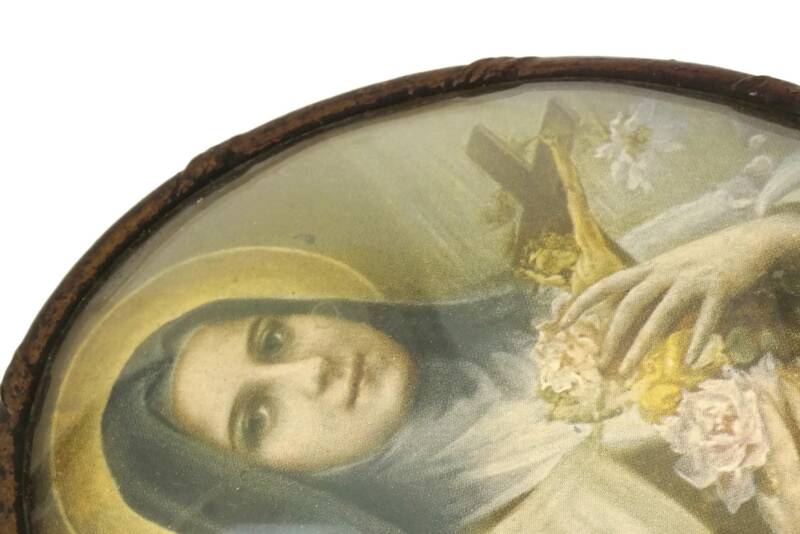 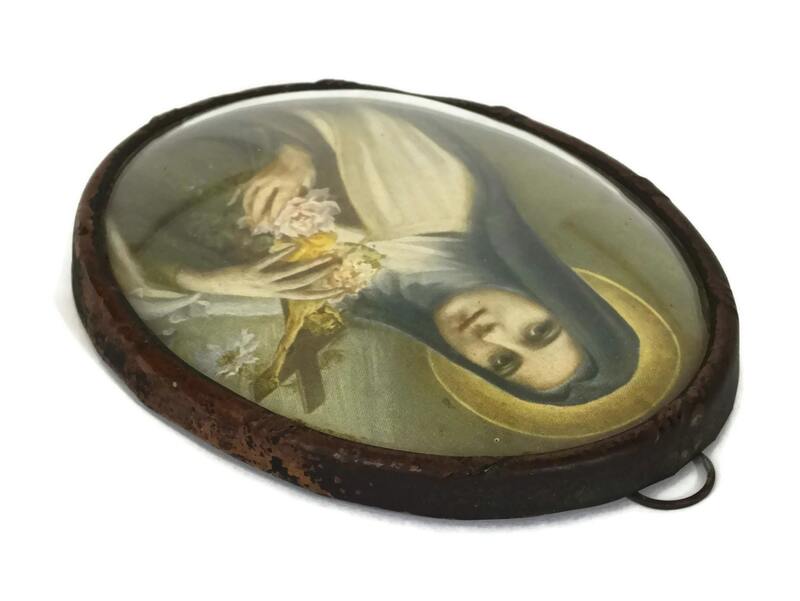 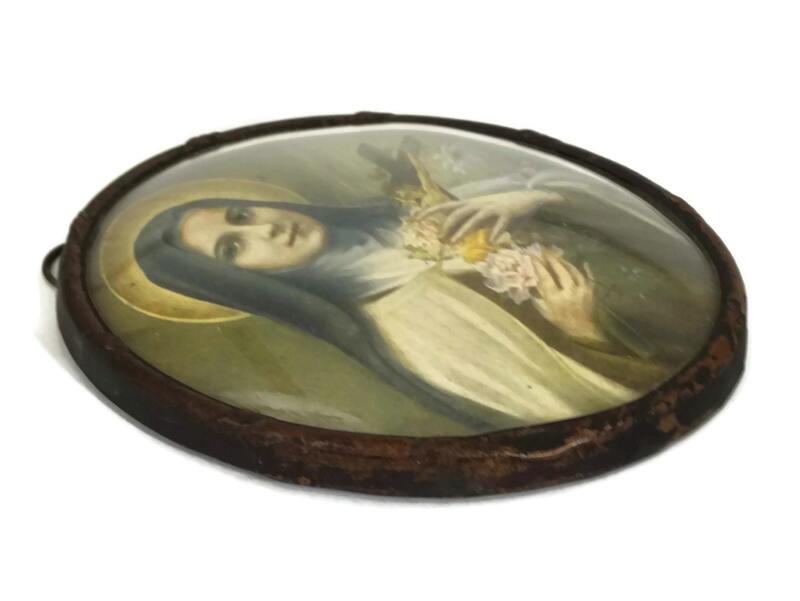 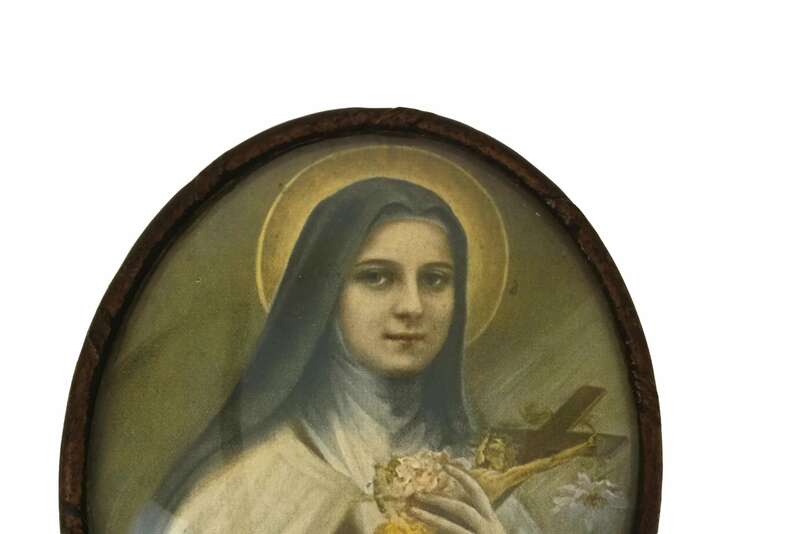 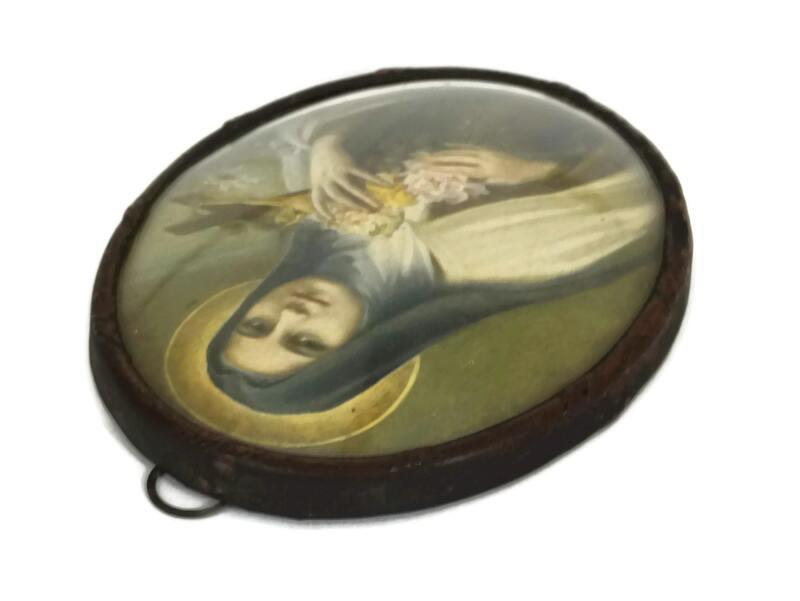 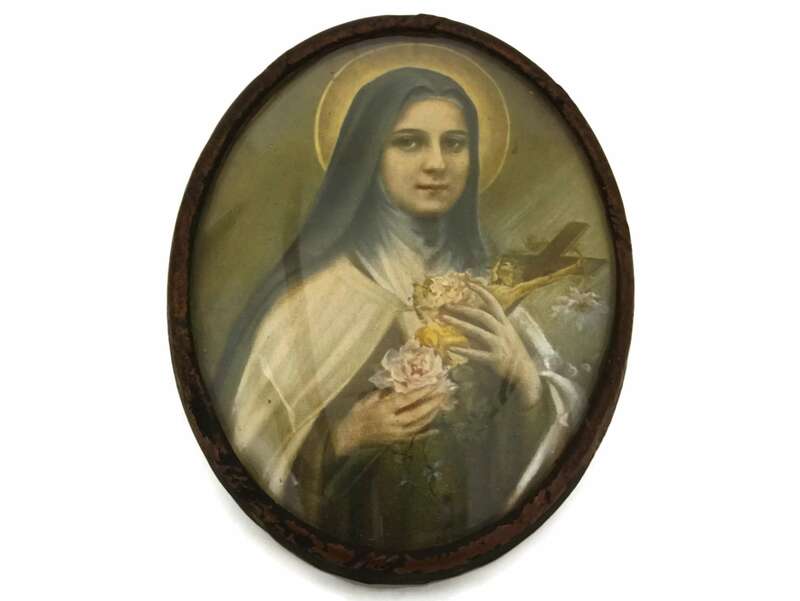 The Saint Therese portrait is in very good antique condition with some light signs of wear and patina to the frame.